A home away from home! Edelweiss bed & breakfast is a cozy urban house made to make guests feel comfortable and safe. 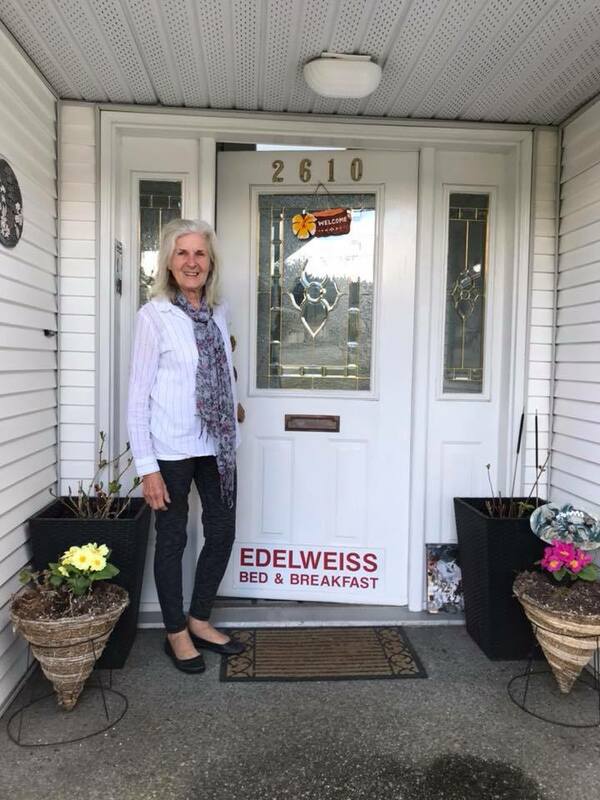 Trudi Oscarson is the home owner of the 3 bedroom B&B, and offers her guests a hospitality experience that has European travellers coming back! Trudi has lived in the community for over 50 years and shared her stories of working in the booming era of the forestry industry. She worked for a company that made plywood. Having first moved to #portalberni to visit her two older brothers, she had not only found a job but also love. Trudi worked for the Mill company for a few years but was then laid off when the Mill shut down. But that didn’t keep her spirits down, if anything it sparked a sense of passion! She enrolled in an entrepreneur course where she created her concept of ‘Eleweiss B&B’. To her surprise her project turned into reality! In 1994 Trudi and her husband welcomed their first guests. Have not looked back since! Edelweiss usually books guests from May until October, as that is when the most people book her rooms. They do however book people on the off season if they too are around. As a hobby Trudi usually enjoys spending her time at home in the garden or talking with her grown children.